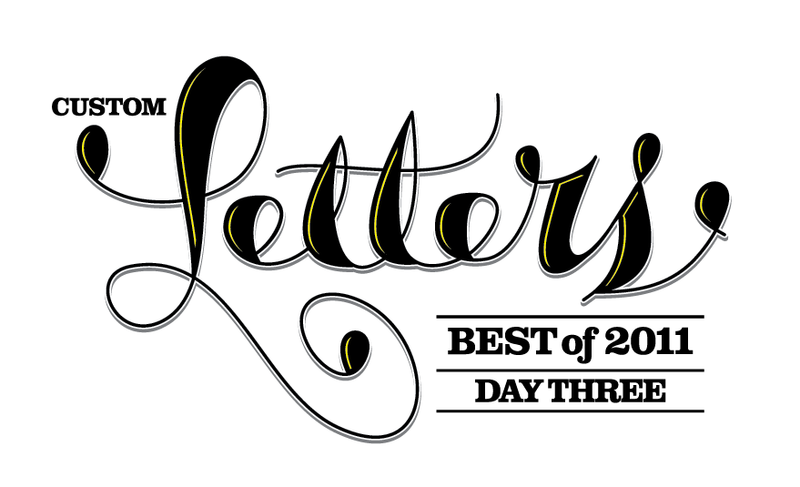 The Whole Enchilada: We’ve merged the three posts below into one big post, a snapshot of the Custom Letters from 2012. Nearly 1600 images over 47 pages. (see the page numbers at the bottom). Last day of our Best of 2012 featuring 500+ more images. I’m sure I’ve missed some people, so please email me with omissions and anything else at: lettercult /AT/ gmail.com. I will merge all three days into one post tomorrow. Welcome to our fourth-annual snapshot of the Year in Custom Letters. We’ve separated it into three days. Today, Day Two, features another batch of 550 images. The good news — there’s a Day Three, and it will be EDIT: *MONDAY*, with work coming from Erik Marinovich, Shoe Meulman, Luca Barcellona, and many more. Feel free to email with questions, concerns, errors, omissions, broken links, etc: lettercult /AT/ gmail.com. If you submitted and haven’t seen your work yet, it’s coming on Saturday. HAPPY NEW YEAR! 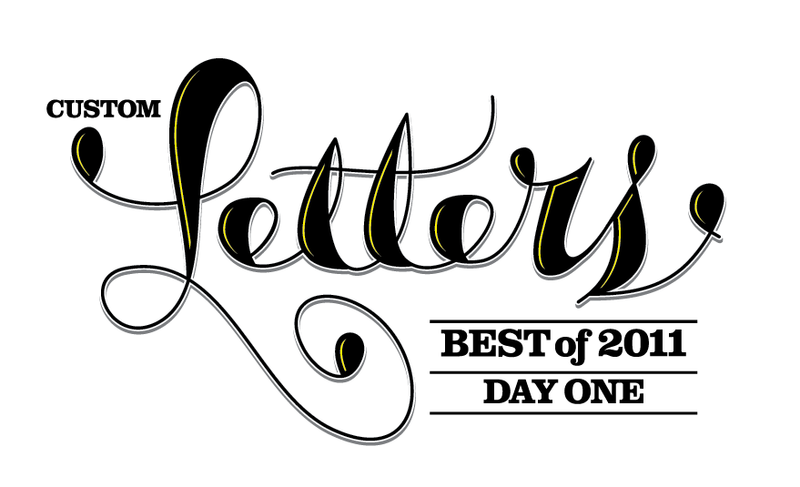 It’s that time again, time to compile the best Custom Letters from the past year. The Custom Letters category includes calligraphy, sign painting, graffiti, stone carving, digital lettering, hand lettering, paper sculpture, and original type design. • The deadline to submit is Friday, February 1, midnight Pacific time. We will be publishing our Best Of by March 1. UPDATE: It’s now MARCH 27 for Day One. • E-MAIL ADDRESS: lettercult [AT] gmail.com. Please include the actual files with 2012 SUBMISSION in the SUBJECT FIELD. • SUBMISSION FORMAT: .png or .jpg, 600 pixels wide, 72 dpi. We’ll confirm receipt of your submissions. There is no limit to the number of submissions you can make, but please edit yourself, and pick your BEST WORK. Please include a link to your site. And please do not send work completed before 2012, or work from 2013. • Person of the Year. We are going to retire this annual thing, among some other changes. The good news is, I now have some help to make some site changes and we’ll be doing more features and profiles in 2013, in a simpler format. 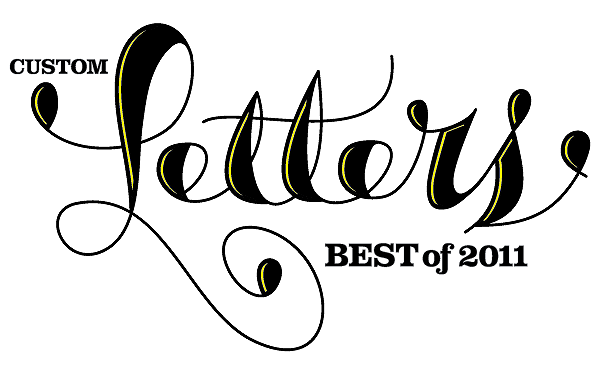 THE YEAR IN CUSTOM LETTERS, 2011. … If I missed your work, apologies, let me know, asap. More than 700 new images over 24 pages, hopefully it was worth the wait. 😉 Errors, bad links, or anything else, please email: lettercult /@/ gmail.com. Thanks for the patience, and great work in 2011 people! • Day 3, hopefully on Monday. Questions, concerns, errors, omissions, broken links, did I miss your work, please email: lettercult /@/ gmail.com. Thanks for the patience, lots more great work to come. Remember, we’re breaking this up into several days. Day 2 and Day 3 will be next week, days TBD. • Day 2 will feature work from 2011 Person of the Year Erik Marinovich (see his article below), 2010 POY Shoe Meulman, and 2009 POY Jessica Hische, among dozens of others. 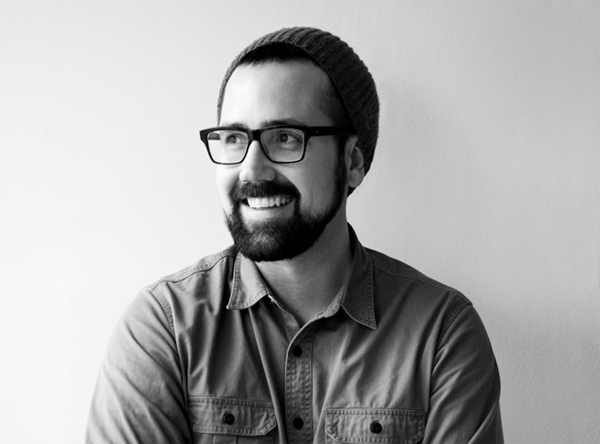 • Day 3 will be anchored by the prolific hand-lettering of Chris Piascik, Carolyn Sewell, and Jay Roeder. Lots more to come. Also, again, remembering the late Doyald Young, who died in 2011. Without his inspiration, this site would not exist. RIP Doyald. HEY FOLKS. Wanted to give you a quick update on the status of our Best of 2011 now that it’s almost April. Yikes. It’s still coming. It takes ~80 hours to put this together, and I haven’t had any decent chunks of free time the past month and a half. Just me doing this site, and I’m about halfway done. So clearly it’s ridiculous to have this come out in April … but that’s where it’s at. Next year, I’ll have to figure out a better solution. So apologies … and stay tuned. NOW THAT 2011 IS OVER, IT’S TIME to crawl out of hibernation, and begin sorting through the best and brighest Custom Letters of the year! Our Best of 2010—Day 1 and Day 2—featured more than 900 images, our Top 10 lists, and our Person of the Year. Last year, we scoured hundreds of personal sites, yet took in a relatively small number of submissions. • The deadline to submit is Wednesday, February 1, midnight Pacific time. We will be publishing our Best Of later in February. • E-MAIL ADDRESS: lettercult [AT] gmail.com. You can submit for yourself or others. You can include the actual files or submit links. Please put 2011 SUBMISSION in the SUBJECT FIELD. • SUBMISSION FORMAT: .png or .jpg, 600 pixels wide, 72 dpi. We’ll confirm receipt of your submissions, but we won’t contact you after that. There is no limit to the number of submissions you can make, but please edit yourself, and pick your BEST WORK. Please include a link to your site. And please do not send work completed before 2011, or work from 2012. • ALPHABATTLE LETTERS: The Alphabattle wrap-up will be separate so INDIVIDUAL LETTERS will stay separate from the Best Of. • We are aware of certain styles that get copied. If you’re aping the current Letterer of the Moment, we’d ask you to please, find something original to submit. Finally, we always get questions about why a Best Of would include so many images—why don’t you narrow it down to a manageable number so it’s truly a BEST OF. Well, the continuing goal is to introduce people to Custom Letters, and to celebrate those who are making Custom Letters. It’s as simple as that. Our aim to be inclusive, not exclusive. Next week, a wrap-up. Thanks to everyone who participated. 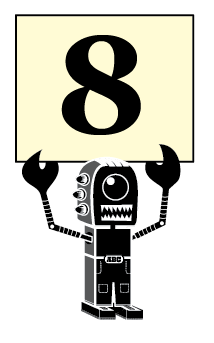 In two weeks, we’ll finish AlphaBattle with the AMPERSAND. Submit by July 17, with publication on July 18. A week later, we’ll do a wrap-up. We’ll continue with ZERO in two weeks. Submit by July 3, with publication on the Fourth of July. After that is ampersand, and then we’ll do a wrap-up. Nearing the finish line. 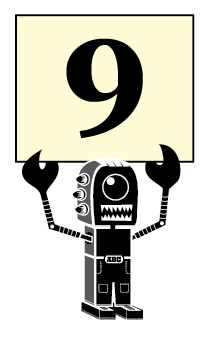 We’ll continue with the Number 9 in two weeks. Submit by June 19, with publication on June 20. 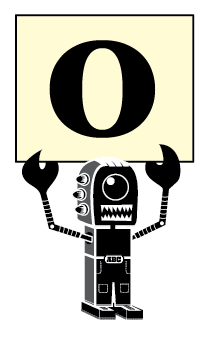 After that, zero, ampersand, and then we’ll do a wrap-up.